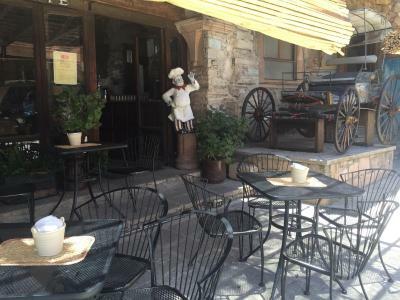 The breakfast, the staff were helpful and friendly, hot water, excellent wifi and the location was the best. I liked the location in relation to where my friends lives, just across the street. I didn't like the noise from the traffic, right outside the window. Also, my ride back to the airport didn't show up at 4:30 am, so I had to call a taxi at the last minute to catch my flight. I like the Hotel . The employees are very friendly. This hotel is close to the points of interest you want to know. The restaurant food is delicious . One day I will return. Excelente ubicación, muy cerca de la Alhóndiga de Granaditas. El personal es muy amable y brindan un buen servicio. esta céntrico, el personal es súper amable, atentos a tus necesidades. Ubicación, ya que está prácticamente en el centro de Guanajuato. Desayuno, es rico y la porción es buena. Tranquilidad, ya que al llegar a la habitación, es raro escuchar ruidos externos. 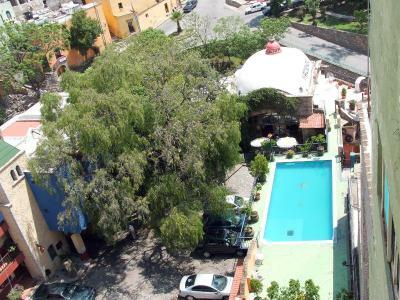 One of our top picks in Guanajuato.Featuring a garden and a terrace, Hotel Hacienda de Cobos is located in Guanajuato and is a 15-minute walk from Juarez Theater. Located around 0.8 miles from Alhondiga de Granaditas Museum, the hotel is also a 15-minute walk away from Union Garden. The property provides a 24-hour front desk and free WiFi is available. At the hotel, the rooms come with a closet and a TV. Rooms have a private bathroom and a shower, and selected rooms come with a balcony. An American breakfast is served every morning at the property. 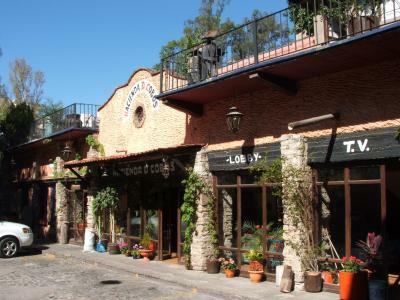 At Hotel Hacienda de Cobos you'll find a restaurant serving International cuisine. 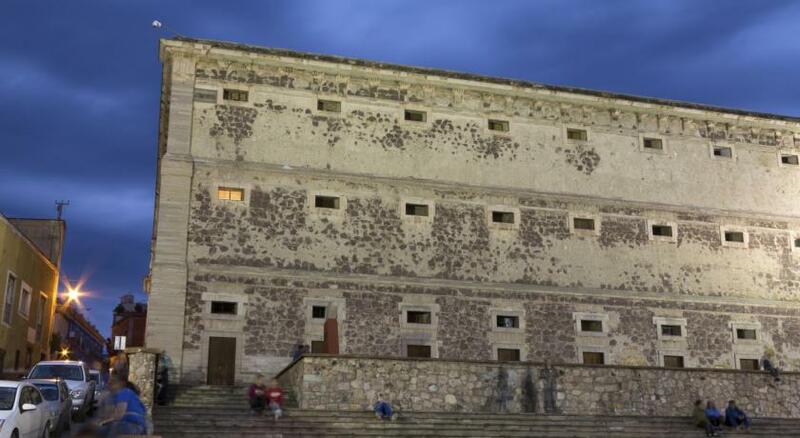 The Alley of the Kiss is 1.1 miles from Hotel Hacienda de Cobos, while The Mummies of Guanajuato Museum is 1.2 miles away. 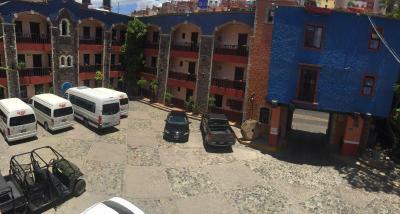 The nearest airport is Del Bajío International (Guanajuato Internationall) Airport, 18 miles from the property. 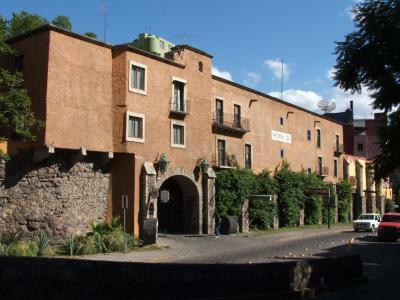 When would you like to stay at Hotel Hacienda de Cobos? This suite has a balcony, dining area and patio. This family room features a cable TV, dining area and patio. This triple room has a patio, dining area and flat-screen TV. This quadruple room features a private entrance, patio and dining area. 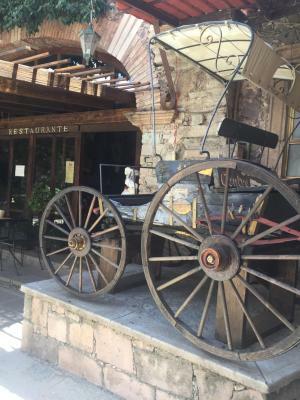 House Rules Hotel Hacienda de Cobos takes special requests – add in the next step! 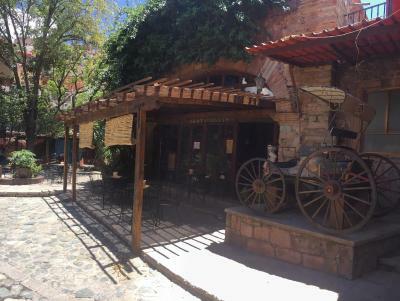 Hotel Hacienda de Cobos accepts these cards and reserves the right to temporarily hold an amount prior to arrival. Pillows sheets and towels need upgrading. One mattress was very uncomfortable, other was ok.
Bathroom could do with a makeover. Very good location with parking. The entire facility was rundown and absolutely filthy.